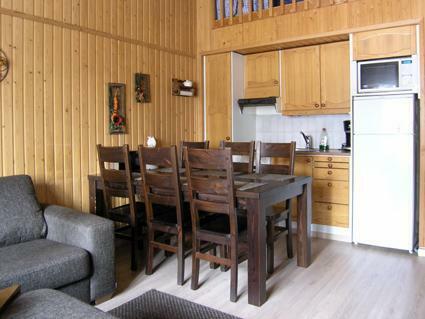 This row house apartment located in Vuokatti ski centre was completed in 1987. 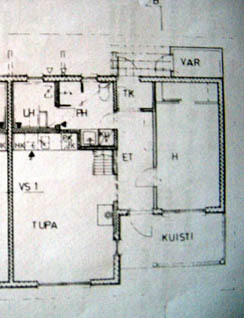 Floor area 58,5 m², loft 9,5m². 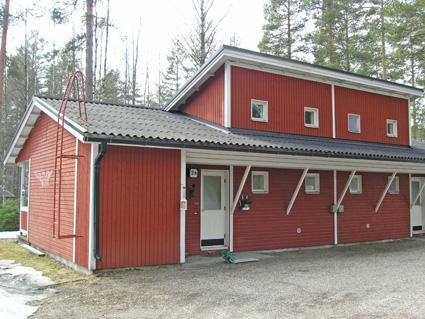 Combined living room & kitchen with sofa-bed, bedroom with twin bed and one separate bed, sauna (electric heating), washroom, toilet. Loft with beds for three. Veranda, terrace. Child safety gates on stairs (down and top). 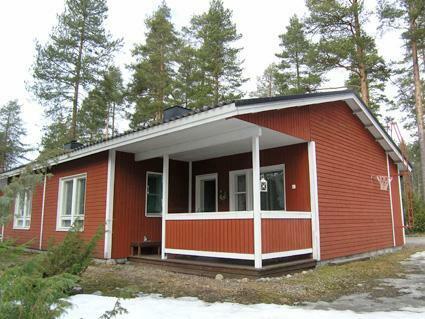 Kajaani 35 km, Sotkamo 7 km. Vuokatti ski slope 200 m, cross country track 50 m. Small lake 2 km. Final cleaning not included in price. 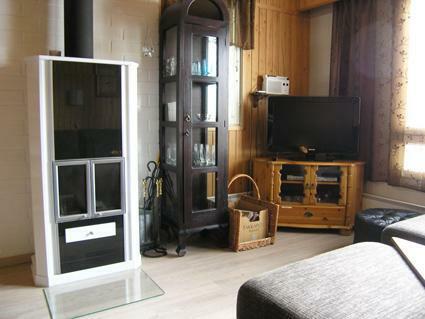 Cleaning and bed linen are ordered at extra charge. Pets are allowed.